Almost everything we sell is available to buy on our website, simply browse the site using the menu on the left hand side and add your chosen items to the shopping basket. When you are ready, proceed to the checkout section where you will be transferred onto our secure checkout system. Our checkout system is secure and fully compliant with the latest requirements and uses Verified by Visa/MasterCard SecureCode for maximum fraud protection. We are compliant with PCi DSS standards. To place an order by telephone or for advice, please call us on 01925 818437 and we will be pleased to help. We use nationwide couriers to offer an excellent delivery service across the UK for all our products. We aim to despatch your order without delay using a 24hr delivery service when possible. Special Notes: Canoes & Kayaks are deemed to be "ugly freight" by the UK couriers, this means that the cost of shipping canoes, kayaks and sit on tops is significantly higher than standard parcels. 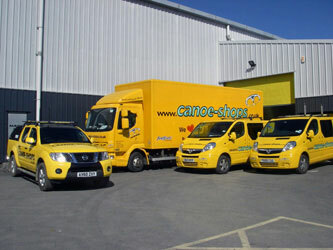 Our estimated delivery time for canoes, kayaks and sit on tops is a 3-5 working days. Please note: we do not offer a Saturday or Sunday delivery service. We have stores located across the UK where you can collect your order at no additional cost to you*. Place your order online and we will contact you to arrange collection at your convenience. 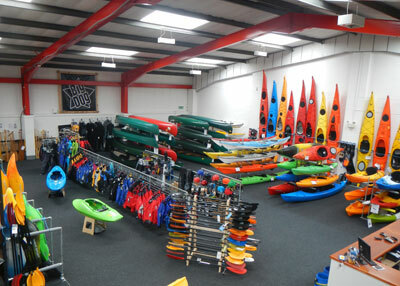 We have a large showroom stocked full of canoes, kayaks and equipment. Our staff will offer expert unbiased advice to help you select the most appropriate items.